He also felt that the conditions in England will suit the defending champions. Before they were suspended, Steve Smith and David Warner formed the fulcrum of Australia’s batting line-up in all formats. However, ever since the infamous ball-tampering saga, Australia’s batting has been under the scanner in the absence of their two stalwarts. Hence, there has been a lot of focus on the duo’s return. Smith and Warner’s bans will be lifted on March 29 and will be available for selection. 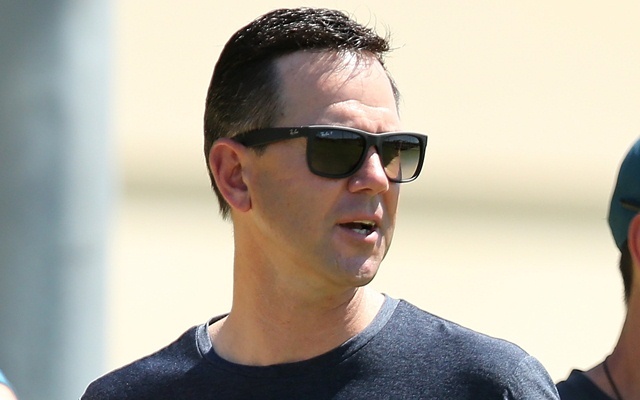 Ricky Ponting who was appointed as the assistant coach for Australia ahead of the World Cup is pretty confident about his country’s chances at the mega event. He feels that the addition of banned duo (when they are available) would make the side “as strong as any” around the world. When he was quizzed on Australia’s chances at defending the World Cup title, he termed England and India as favourites but was buoyed by the fact that the two stars will be available for the mega event. He kept reiterating the fact that the return of Smith and Warner will lend a lot of solidity to the side. “Absolutely. India and England are probably the two standout teams right now. But if you add Warner and Smith back into that line-up then I think that team looks as strong as any,” Ricky Ponting was quoted as saying by Cricbuzz. England has produced some of the best batting pitches in ODI cricket over the last few years. There have been some towering scores, including two of the highest ever ODI totals. However, the newly appointed assistant coach Ricky Ponting feels the conditions will suit Australia’s style of play. Moreover, he has experience of what it takes to do well in such big tournaments. “Conditions in England will suit our style of play … I think Australia will be one of the main contenders for sure,” Ponting added.